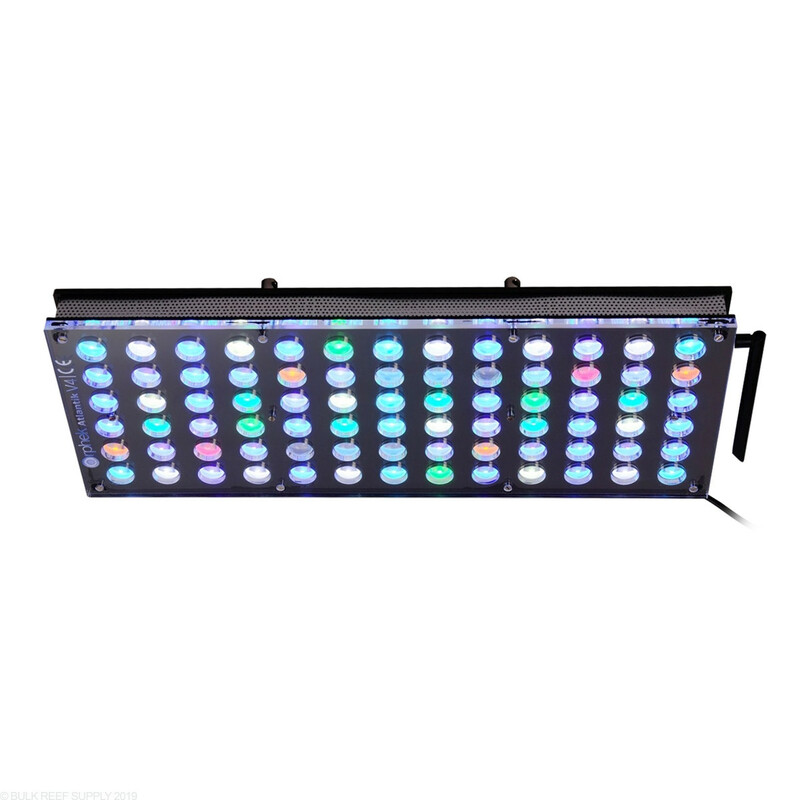 The Orphek Atlantik V4 Gen 2 LED fixture has 156 LEDs that range from 380nm to 850nm that include full progressive dimming from 0-100%. Control the light from your favorite iOS or Android smart device! Just pair the Atlantik V4 up with Orphek Gateway for wireless control through the free Orphek Atlantik App. 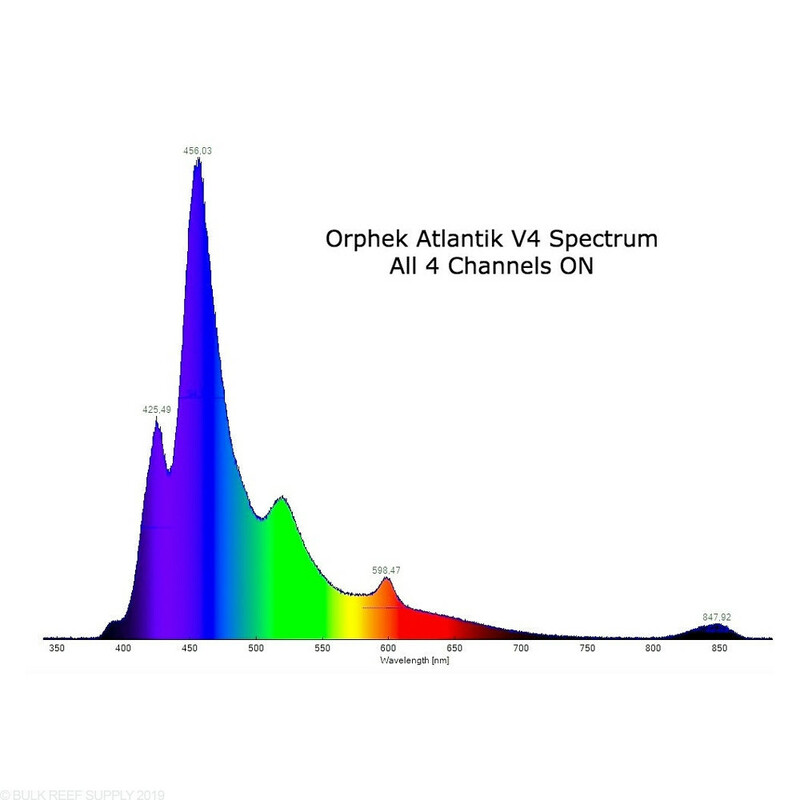 Recommended for tanks up to 48" x 35"
Orphek has spent years of research and dedication to produce the Atlantik V4 Gen 2 LED light Fixture! 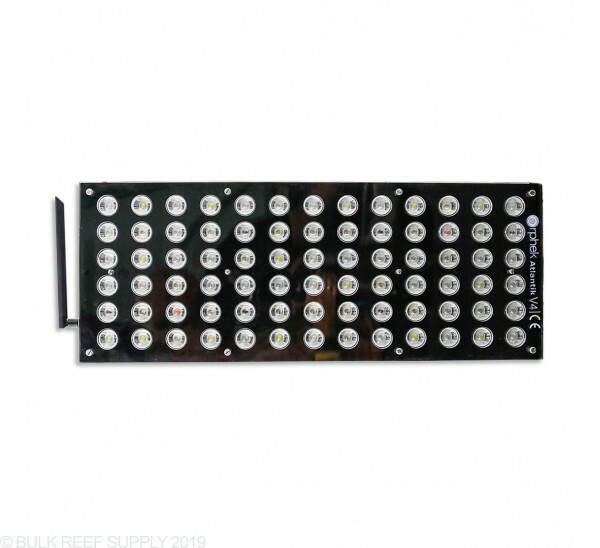 From new LEDs that break into the infra-red spectrum and down into the ultraviolet spectrums. LEDs are high-power 5W dual-chips that help create crisp, colors that blend very well together. 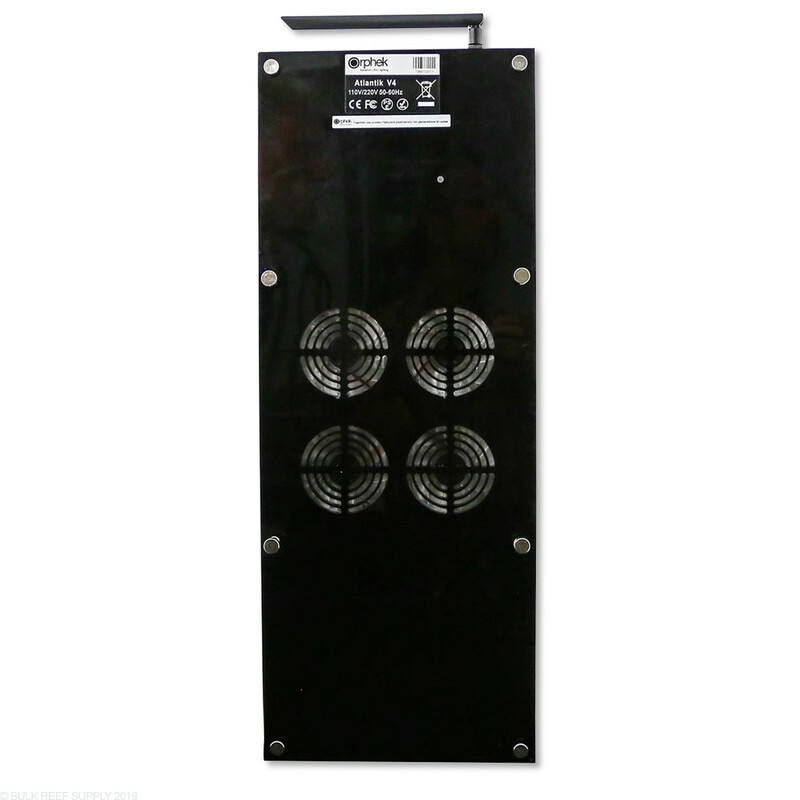 Orphek lights are built to last using high-quality components like Meanwell drivers, thick heatsinks, acrylic body, silent fans, and robust LEDs. 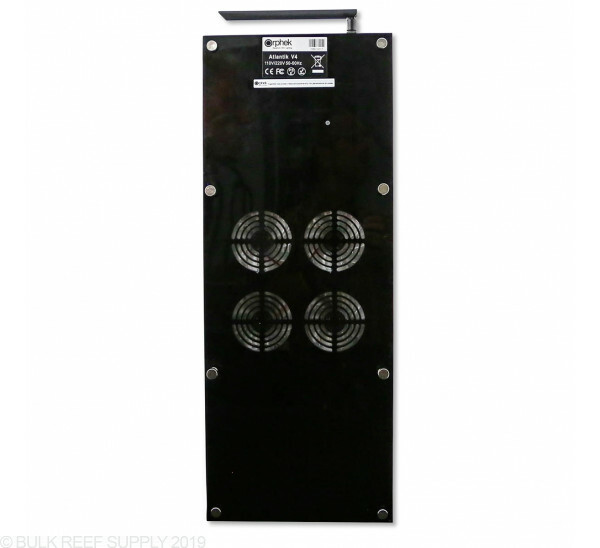 Put an Atlantik V4 over your tank today and watch your corals enjoy! 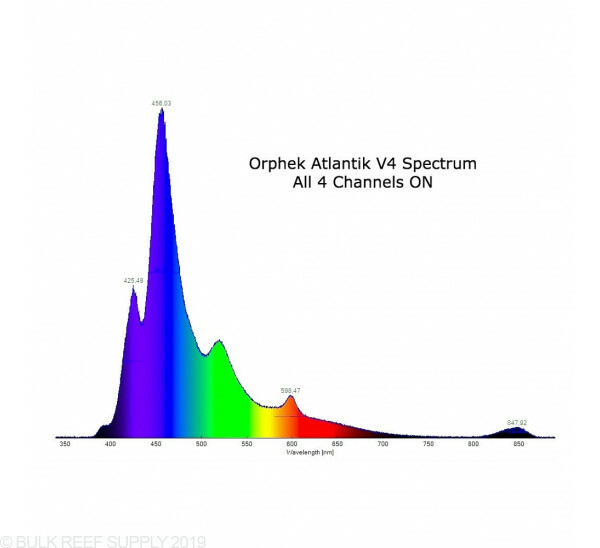 Over 156 individual LEDs make up the Orphek Atlantik V4 Gen 2 that spans from 380nm up to 850nm making it one of the widest spectrum ranges available in the aquarium market With peaks in 420 - 460nm range and also highlights around 530nm and 600nm create the ideal spectrum influences for rapid coral growth and coloration. 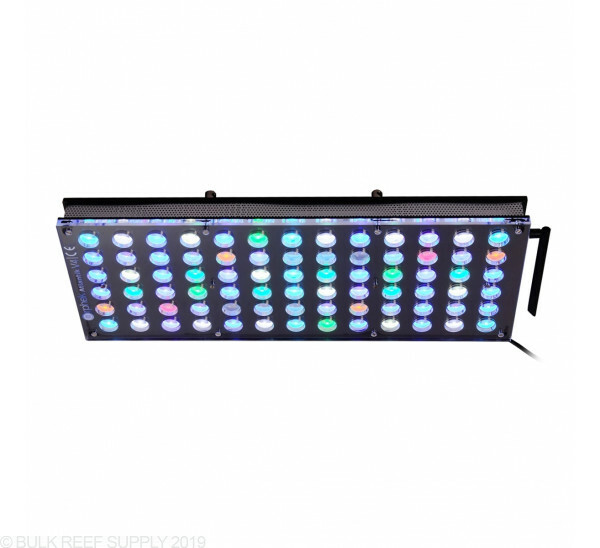 There are 16 different types of LEDs that can be controlled across 4 channels that can be programmed independently of each other allowing you to make the perfect spectrum and light source for your corals and you! 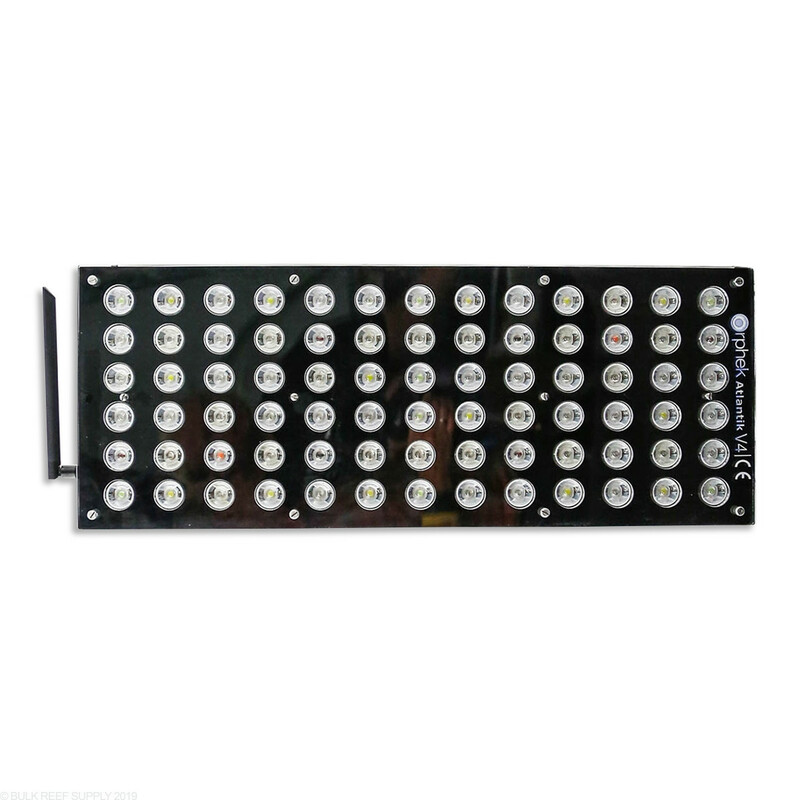 Control 4 channels of LEDs through your favorite iOS or Android smart device wirelessly! With the Orphek Gateway2 and the free Orphek Atlantik app, you can change intensities, colors, programs, and much more. 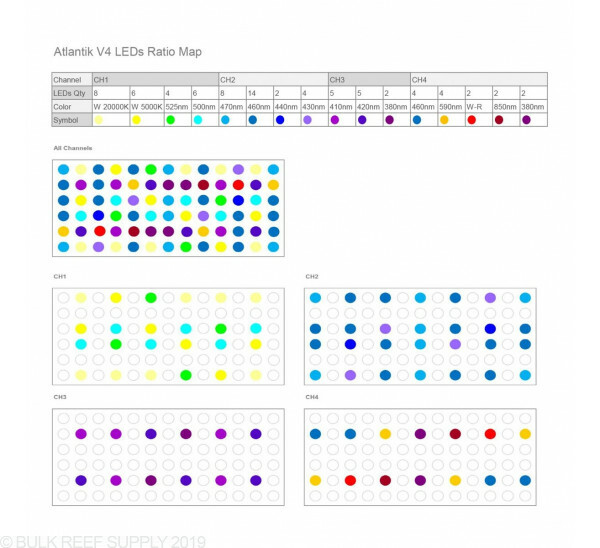 You can connect multiple Atlantik fixtures to create a Master/Slave relationship if you need multiple lights over your aquarium. Just connect your light to the Orphek Gateway and enjoy fast and stable programming from your smart device! Maximum Spread - 48" x 35"
Recommended Spread - 40" x 24"
After setting this up over my high end acro grow out system, I'm now considering switching my entire display tank to these lights as well. The spread and spectrum are second to none. The programming is a little tricky at first, but very easy once you learn it. I do wish you didn't have to buy a separate gateway to control these and I wish it were easier to connect to wifi with it, but other than that these lights are perfect. I mean perfect. I've been using these lights for about six months. I think the lights are amazing. There are some disco ball effects but that isn't anything a diffuser can't fix. The critical issue is the application that controls the lights. It really is one of the worst interfaces I have ever dealt with. If you are not computer savvy and I mean really computer savvy; buy a different brand. For the money you spend on these lights, the application should not be an afterthought. I should also not have to buy a seperate gateway to use these lights. I am extremely disappointed in this product. One more thing. When I sent in my issues with the application, they proceeded to lecture me on what settings I should use that is best for my tank. 1. I didn't ask you. 2. If I want to start the aquarium one hour earlier than what you have programmed, I should be able to do so and not have to manage four seperate channels and the application not time out after I spent 30 minutes wasting my time. 3. It should not matter if the application was able to do it's job. How about this...build an interface I can plug into all of the lights and manipulate from the outside of my tank. For such an amazing set of lights, you really failed. I only gave two stars because the lights are really that great. The interface makes this product a failure. Thanks BRS for offering these gems. The lights are very good when they work but I had a terrible experience dealing directly with the company when 2 of the 4 lights were faulty. I would never buy an Orphek product again. 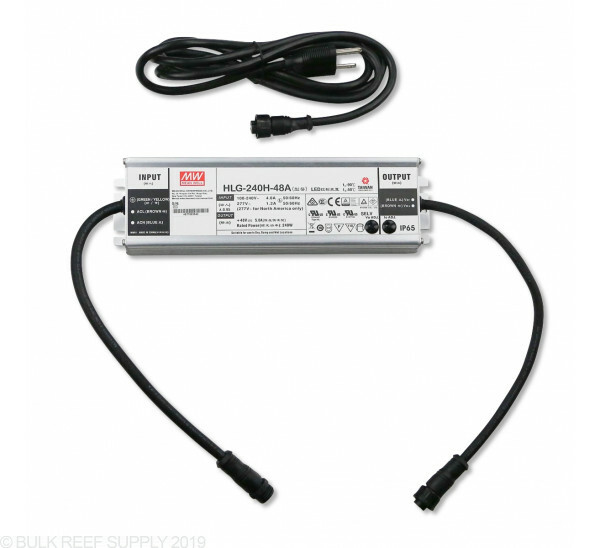 Bought 2 of these V4's to replace 3 Radion G4's and aquactlife T5. All I can say is WOW. They cover my tank better and the whites actually looks like halide compared to all the othe LED's I have seen. Tank looks crisp and clear. Already noticed a few SPS changing color after a week with these. In fact I am so impressed that I am buying 3 compacts to replace my T% kessil combo on my LPS tank.You won't be disappointed! As of the end of 2018, there isn’t another LED lighting solution that compares to these. 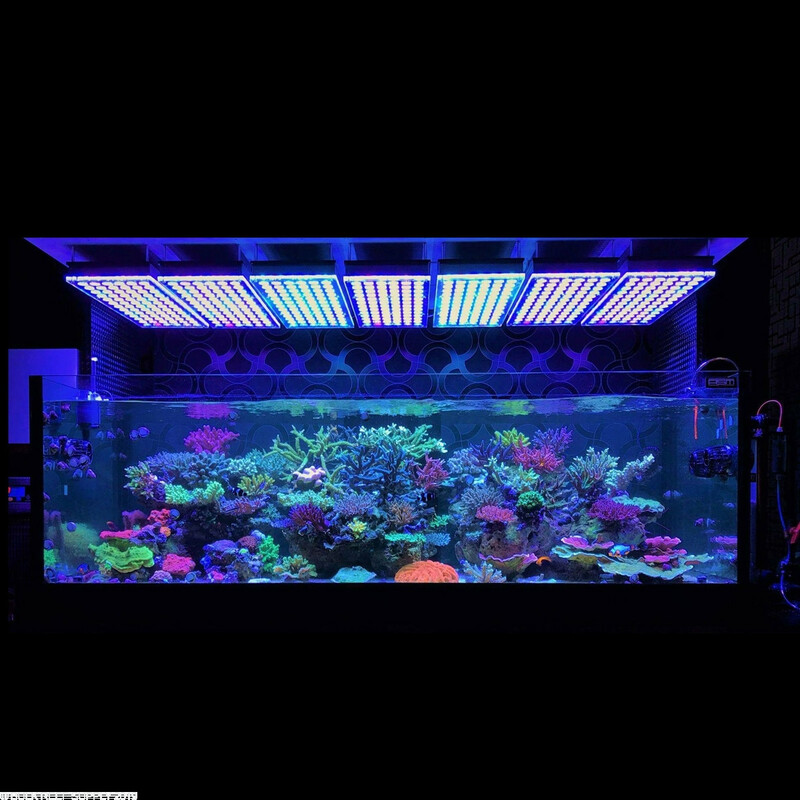 I have owned AI, reefbreeders, kessil and ecotech even winning TOTM with them in the past. The Orphek is the most impressive fixture I have seen. Of course anyone reading this should have watched the BRS video about the spectrum and quality, but the smaller details such as the acrylic base and how it diffuses light and prevents shining in your eyes even when you have seating right next to the tank is really impressive (with a reasonable fixture height of course). It replaced on of those brands above – both fixtures did not have any light spill outside of the tank, but the glare on my eyes was there until I installed the Orphek. It is heavy, I don’t think there is a work around for building a quality fixture like this and have it be light. 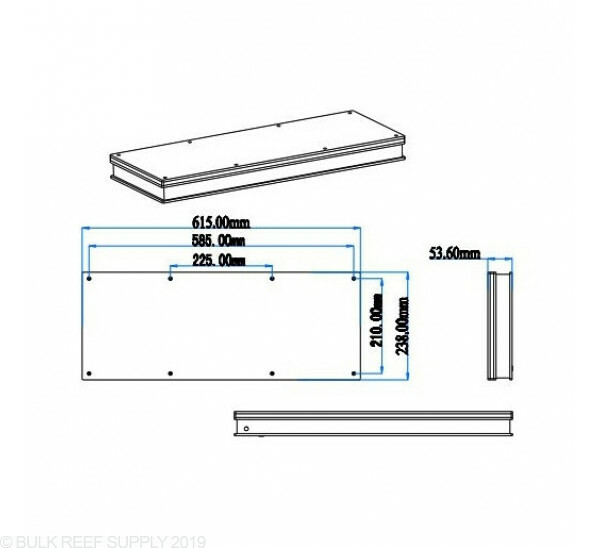 I personally wouldn’t trust tank only mounts and would find a solution where you can slip black PVC or 80/20 over/under/attach and bolt to the stand or wall for support. Right now the new 360x are $450. So two of them are the price of the Orphek. 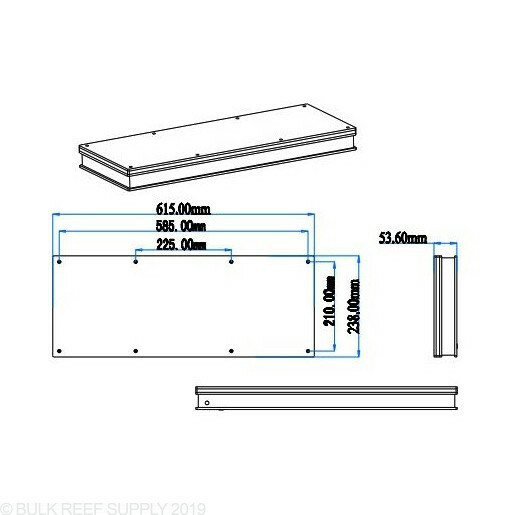 I can’t imagine primary lighting for a reef tank where one could make a solid argument for 2 of those over the Orphek for the same price. For all you get the Atlantik is a solid deal. You can even add orphek bars if you wanted and they are quite a reasonable price. This light blows me away. Wanted a light where I did not need to supplement T5’s to grow SPS. I have a 48” tank. Yes I have some shadows. 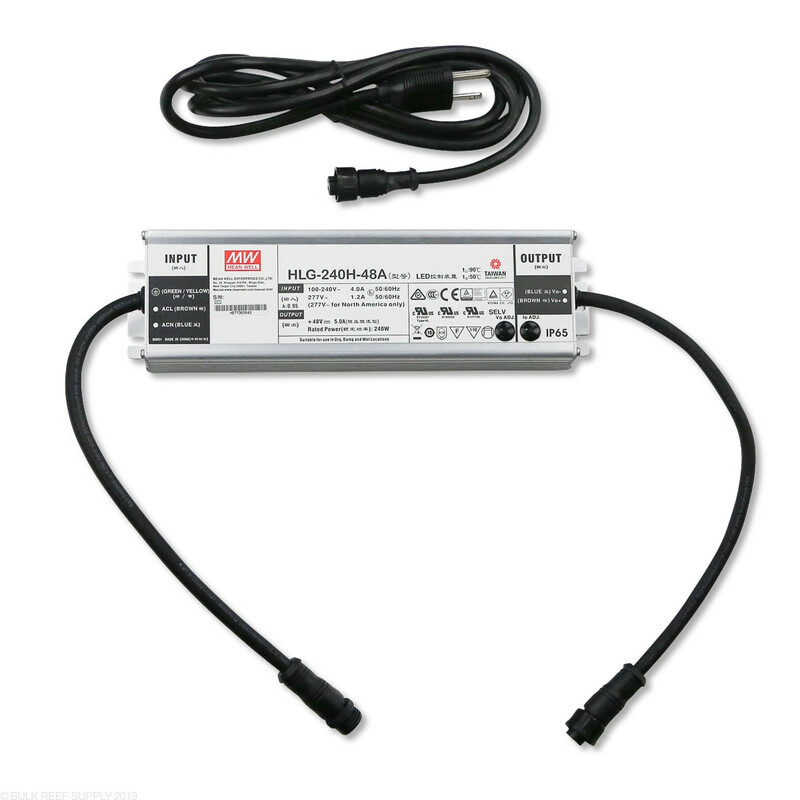 But who cares this light can grow it all and has easy to use programming. Does not work with my APEX but I do not care much about that with this app. I emailed them a question about the wall mount arm and they emailed me back the next day. Maybe once BRS gets it in I will switch but the hanging is good for now. Would I recommend these lights to a friend? Haha is that a joke?! Since buying these lights I have been actively trying to get every friend I know to switch over to these lights. After first getting them I was just blown away by how they look in general, not even turned on, these lights are a work of true beauty. 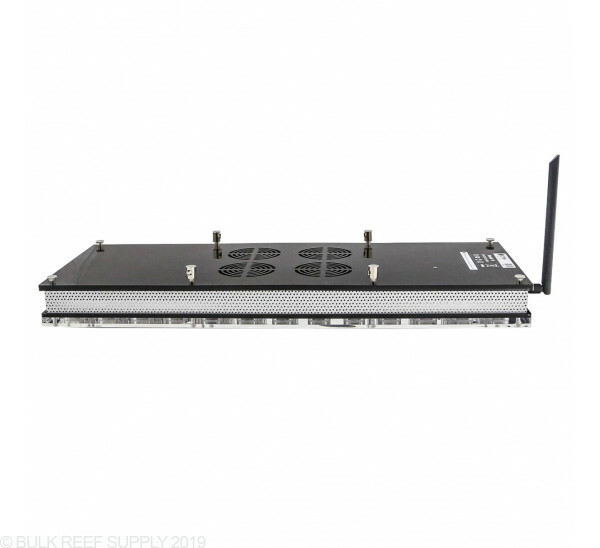 When I mounted these lights to my hood and turned them on I was shocked to see how well two Atlantic v4s lit up my 180 gallon mixed reef tank 6x2x2 feet. After playing with the lights for five hours and wondering at them in amazement was over the true test had begun. 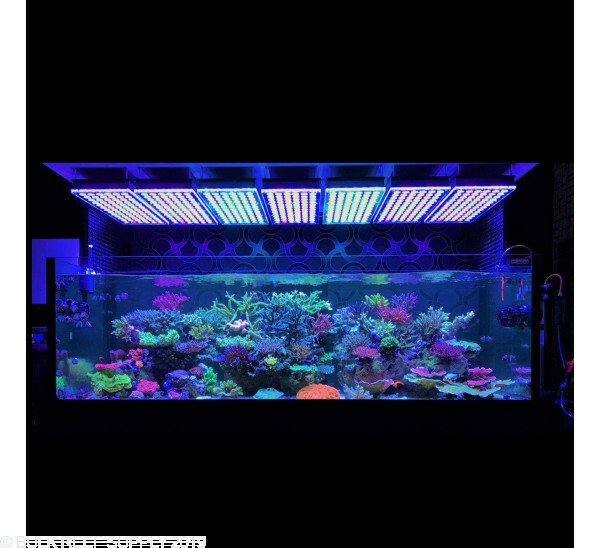 WILL MY CORALS ALSO LIKE THESE LIGHTS?! Well it didn’t even take but 24 hours to know for certain my corals were just as enthusiastic as I was about these lights. OVERNIGHT I could tell that my polyp extension was increased by at least 2mm and yea I know what you are thinking. “This guy is just seeing what he wants to see and just forked over 2 grand for lights and is making this 2mm increase in Polyp extension up!” Well I say you are wrong!!! Since getting these lights only a week ago consumption of both alkalinity and calcium have increased as I have been checking them closely afraid of shock from the lights and high alk spike but NO my tank didn’t skip a beat after installing these lights and in fact went into overdrive. What has been the most convincing thing for me as a stick head in regards to these lights? Well let’s talk about the infamous vivids rainbow from vivids aquarium in southern california. That sps coral is one of the most notoriously finicky and difficult to color and keep colored up in an aquarium. People have said “if you even look at the vivids rainbow funny it will brown out on you”. Well that has been my experience with that coral since day one. It has always grown steady for me but always remains that brownish maroon color that we are all familiar with if you own this specific coral. Well since the installation of these lights only a week ago I have seen changes in this coral that I have never had except in consistent ultra low nutrient tanks and I’m certain it will someday look the way I have seen it displayed in other friends tanks thanks to these lights!! Customer service has always been top notch for me....whether needing some help do to my ignorance or ordering upgrade parts they've always been happy to help. 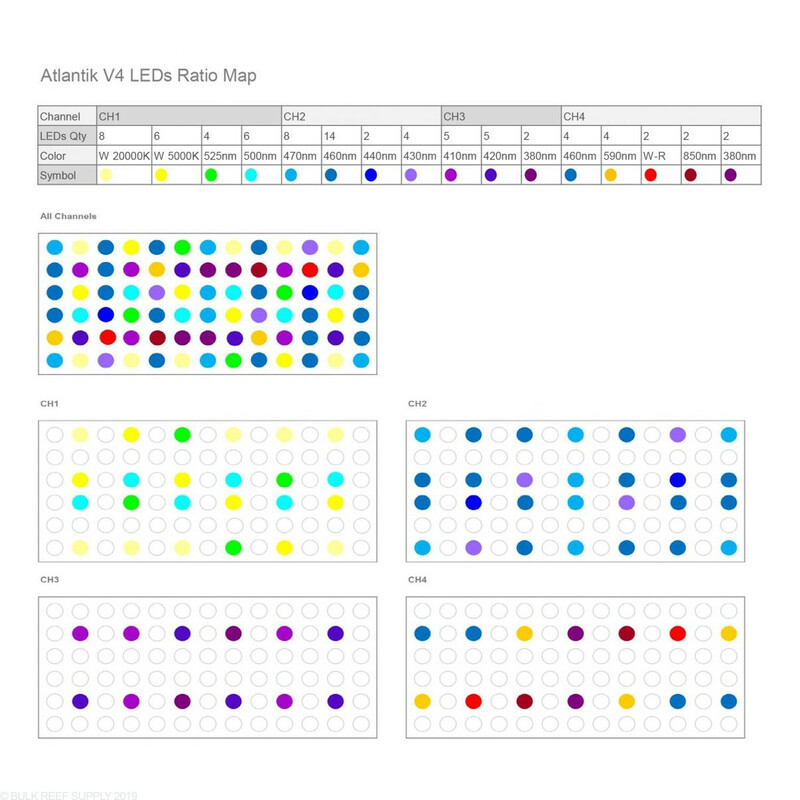 I can only speak from experience with regard a recent event with my V4 Compact - I have 2 Atlantik V4 plus a compact - these lights are excellent from a number of aspects such as they way they look, controllability, colour rendition, coral growth and colour. However my Compact decided to stop working, an email to Orphek support on a Friday evening resulted in a number of emails over the weekend and a new part dispatched to the United Kingdom on the Monday - received and fitted by Friday job done. I have found the customer service to be very good whilst deciding wether to buy them in the first place, and since. I was surprised to read that someone thought their service was bad, for me they have been excellent - I wouldn't hesitate to recommend these lights. 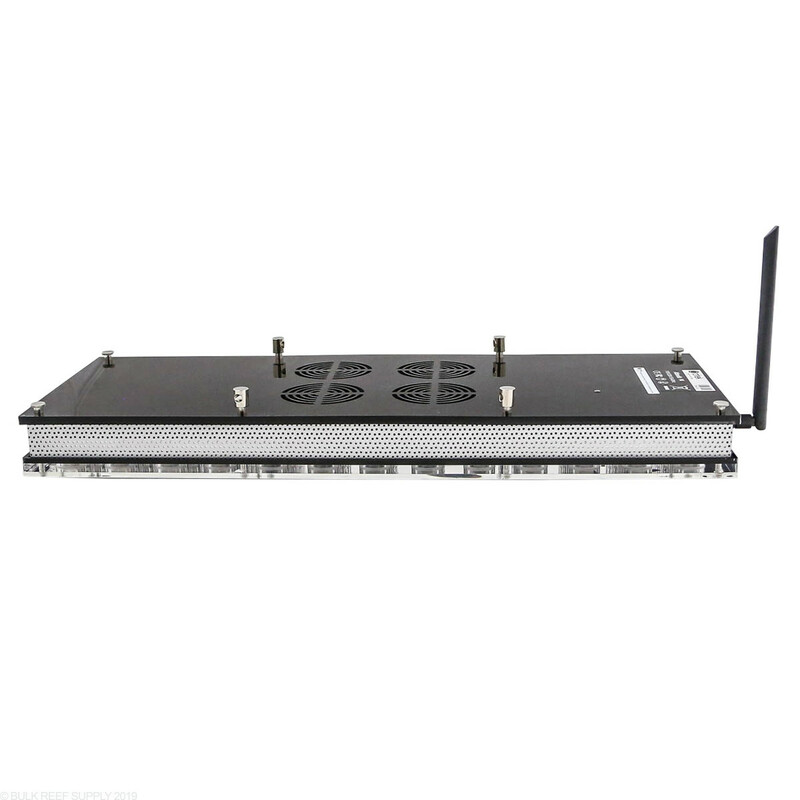 This product will have a warranty period of 1 year with the manufacturer and more information about that warranty can be found at https://orphek.com/contacts/warranty/. Have a great day! What is needed to program the light? Can i program direct from phone to unit or do i need the gateway to do any wireless programming? The gateway is necessary to connect to the light allowing for control for the Orphek Atlantik, and one gateway can control up to 200 lights. Have a great day!